Travelling to Canberra over Easter and planning to visit the Western Plains Zoo at Dubbo, we needed somewhere to stay overnight. We found Cooee Motel, a real gem in the small country town of Gilgandra, three hundred and thirty kilometres north-west of Sydney Harbour and surrounded by farm land. We were just expecting a basic motel suitable for an overnight stay. What we found was an oasis created by our generous hosts Tony and Lois Smolders. After ten hours on the road I was surprised and delighted to be able to explore a large garden that met all the criteria of a Pollinator Link garden #WaterFoodShelter for birds, butterflies and bees. 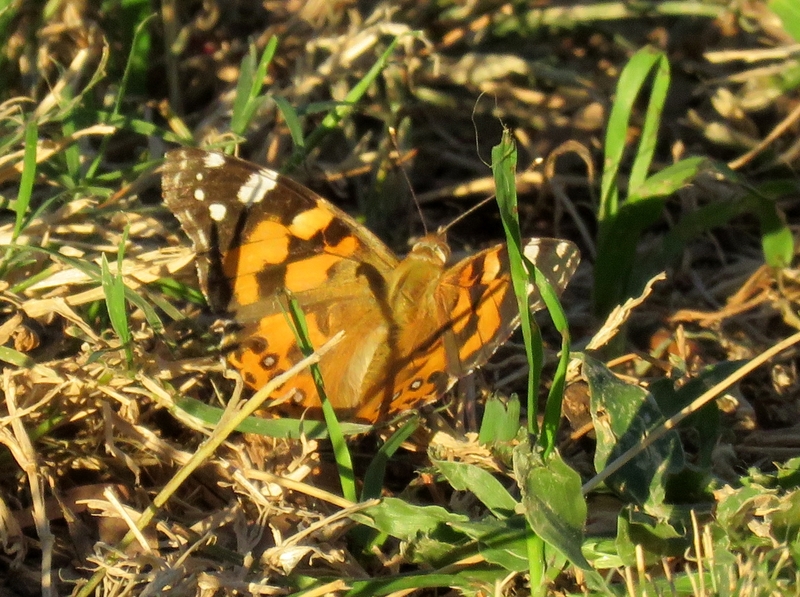 Almost immediately I spotted a beautiful Australian Painted Lady Vanessa kershawi butterfly. I then had a pleasant thirty minutes checking out mature Casuarina and Cypress pine trees. A number of old growth trees with nest hollows providing Shelter have also been retained. 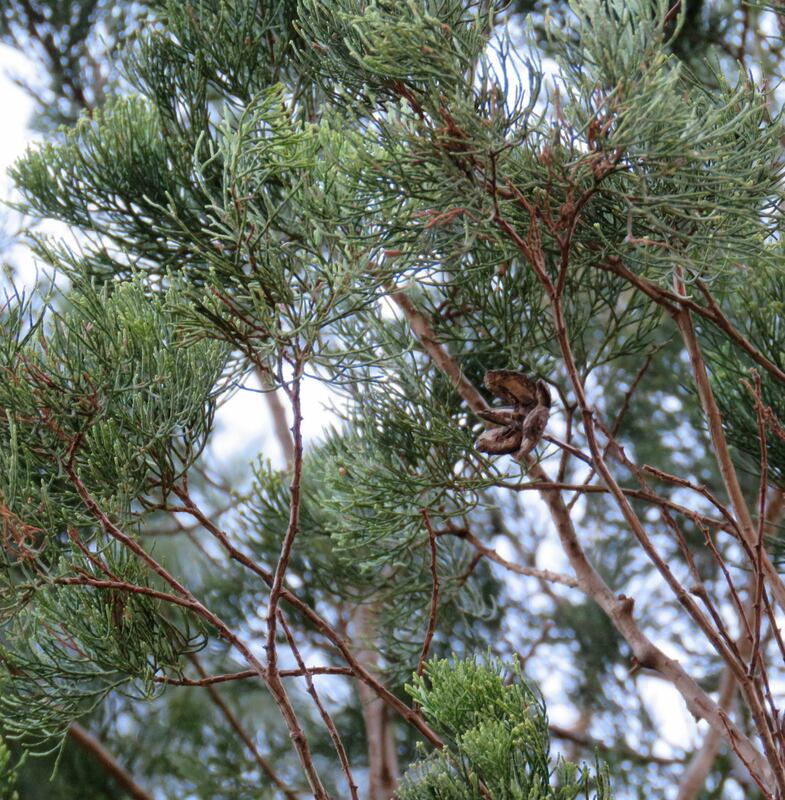 Tree branches have not been trimmed close to trunk which means nest hollows are left for birds and possums. Talking with Lois and Tony, I asked if the garden was public park land. I could hear the pride in their voices as they explained that the land is part of the Motel site. Rather than develop the whole site they generously chose to retain the habitat for wildlife and in the process create a relaxing space for travellers. The Water, Food and Shelter available in this special habitat is used by Australian King-Parrots Alisterus scapularis, Western Rosella Platycercus icterotis, Kookaburra Dacelo novaeguineae and Brushtail Possum Trichosurus vulpecula using nest hollows and visited by Kangroos relaxing on the grass. The generosity of our hosts was underlined when we entered a motel unit well equipped with the usual kettle, toaster and microwave. We felt really valued as customers when we realised that, unlike the majority of motel rooms we have stayed in, this unit was made welcoming and cheerful with good lighting not the parsimonious minimum low wattage lights. Excellent habitat for wildlife and human travellers. 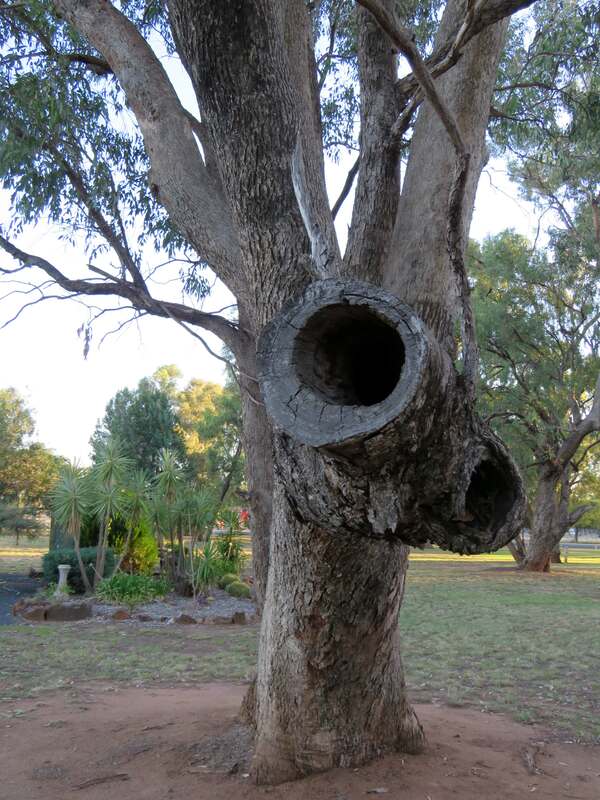 This entry was posted in Wildlife Corridor and tagged #WaterFoodShelter, Australian King-Parrots Alisterus scapularis, Australian Painted Lady Vanessa kershawi, Casuarina, Cooee Motel, Cypress, Gilgandra, Kookaburra Dacelo novaeguineae, nest hollows, Tony and Lois Smolders, Western Plains Zoo, Western Rosella Platycercus icterotis. Bookmark the permalink. What a great find! By the way, we’ve had s few blue banded bees at Sunnybank lately! Yes, we were very happy. And great news about our local Blue Banded bees. I’ll pass this on to my brother’s partner (my brother already subscribes to email alerts about Pollinator Link posts). 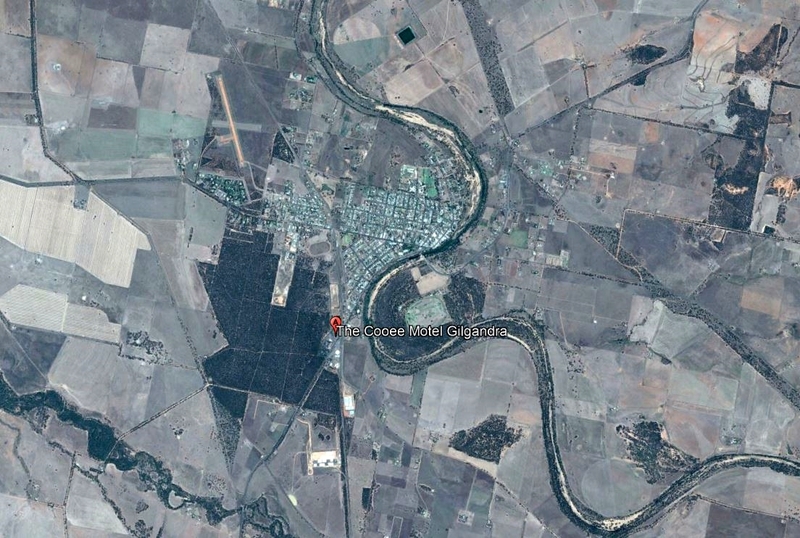 I think she’d be pleased and interested to know about this Cooee Motel, and could even get interested in staying there some time.